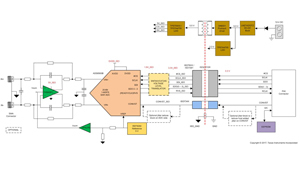 TIDA-01037 is a 20-bit, 1 MSPS isolated analog input data acquisition reference design that utilizes two different isolator devices to maximize signal chain SNR and sample rate performance. For signals requiring low jitter, such as ADC sampling clocks, TI’s ISO73xx family of low jitter devices are used whereas TI’s high speed ISO78xx family of devices are used to maximize data sample rate. By combing these two isolator solutions, high frequency performance is significantly improved by minimizing sample clock jitter across the isolation boundary, and data throughput is improved by maximizing isolator signaling rate. Additional improvements are realized by utilizing TI’s advanced ADC multiSPITM and source-synchronous features. Finally, all key design theories are described and measured results presented.